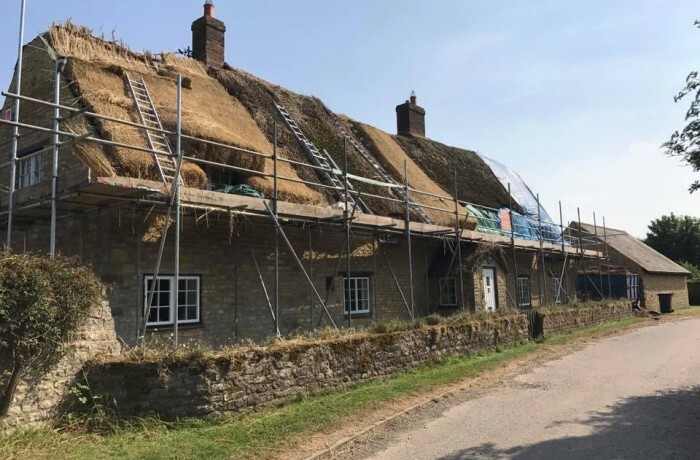 We’ve recently been grafting in Grafton Regis. It has been particularly tough this week with the hot weather, but at least we can work on our tan. 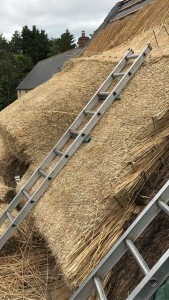 Our team knuckled down and worked together really well to get this re-thatch as quickly as possible to a high standard. 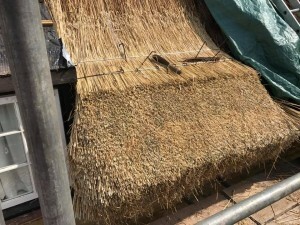 When a full re-thatch is completed to a high standard it will last up to 40 years depending on the type of reed thatch you have. 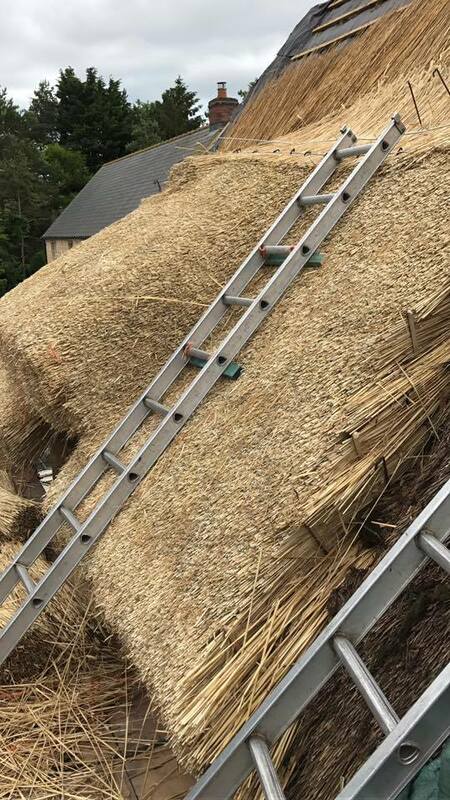 Obviously, within that time, you will need a re-ridge every couple of years to ensure there is minimal damage to your thatched roof. If you are looking to have a full re-thatch then get in touch with us here at Heart of England today and we will be happy to help.